Black Cherry Recruitment Ltd is made up of individuals who are dedicated to providing the best possible service to both candidates and clients, ensuring they receive personalised and results driven solutions to either their job hunt or recruitment briefs. Helen’s path to establishing Black Cherry Recruitment Ltd, started with a career working in PR & Marketing herself. Helen worked in both agency and in-house PR positions, before a chance meeting led her to make the move into PR recruitment. In 2005, Helen joined a national marketing recruitment consultancy, where she built and headed up their Northern PR Recruitment Division. Gaining an impressive reputation and a strong network of PR clients and candidates, Helen established herself as a brand in her own right and as a key figure in PR recruitment. 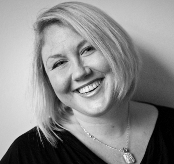 In 2009, the opportunity arose for Helen to branch out on her own and Black Cherry Recruitment Ltd was born! If you’re looking for staff or a new job, please contact Helen. Martin has been with Black Cherry Recruitment Ltd since the beginning, working with Helen to set up the business and look after all things operational. He has a background in launching and managing businesses in security manufacturing and property. Martin brings with him a wealth of operations and project management experience. With an eye for detail and a passion for getting things done, Martin makes sure the business is organised and well run and is the person to contact on non-recruitment related subjects. As a heavy hitting figure in the finance industry, Roger spent his career in senior executive and management positions at companies such as Zurich and The Cheshire Building Society. Roger brings with him an invaluable amount of insight and wisdom of how to run and operate a successful business. His capacity at Black Cherry Recruitment Ltd is one of advisor and mentor.